When is too late to start ballet? What should I look for in a ballet school? Can I become a professional dancer if I start training as a teen? What on earth do I wear? I recommend a physical exam with your doctor before beginning any new physical activity, but it is never too late to begin ballet lessons if you are medically able. Your goals in dance are important to consider though. Do you just want to get some activity into your week while spending time with friends? Do you dream of eventually wearing pointe shoes? Do you aspire to a professional career? Do you just want to try something new? If your goals are recreational, you have chosen a wonderful activity. Ballet is terrific exercise, is very creative and is great for spending time with friends and making new ones. It’s unlike any other sport because it is also a performing artform. You should plan to take classes once or twice a week to progress at a safe pace recreationally. If you would also like to one day wear the coveted satin pointe shoes, you may be able to reach this goal. However, this will require a bit more dedication than the above. There are many different factors that go into a student’s preparedness for pointe work, including skeletal structure which cannot be altered. Soft tissue malleability is also an issue. Young children have some ability to change soft tissue range of motion, but that decreases dramatically in the teen years. You will need at least two years of twice weekly lessons before you should be considered for pointe training. Whether you are an acceptable candidate for pointe at that time should be determined by a qualified teacher. But rest assured that ballet is incredibly enjoyable and satisfying activity regardless of whether you are on pointe or not! Training in ballet as a teen can open doors to other styles of dance that are based on ballet technique. 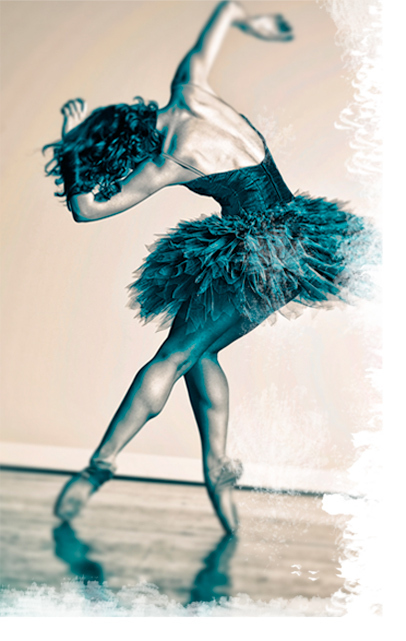 Studying ballet can prepare you for success in modern, jazz, contemporary and other disciplines. Because they don’t require pointe training, these styles can be more accessible to teen beginners for potential of professional dance. Also, even recreational ballet training might lead to new college opportunities. Once you’ve given some thought to your goals, its time to research local dance schools. The easiest way to come up with a complete list of dance schools in your area is to look on www.yp.com. There are a lot of websites that claim to have dance school listings, but most are dependent on the schools initiating that listing, which many schools don’t. If you are interested in pairing your ballet lessons with classes in other dance forms, focus on studios that offer those other forms of dance in addition to ballet. Because dance can be harmful if taught improperly, it is important to review the training of each teacher you consider. They should have trained with a school that is well-respected in the dance community at large, not just locally, or they should have had a respectable professional career. Thanks to Google, this shouldn’t be difficult to find out once you have the teacher’s bio. Visit the school to get a feel for its suitability. Do the students conform to a clean and professional-looking dress code? Do the classes seem organized and logically-run? Ask if the studio has sprung floors, which minimize injury. Studios should be large and well-lit with high ceilings and with mirror panels covering at least one wall. If you have dreams of dancing professionally, your ideal option is to enroll in the recreational division of a professional ballet school (one that is affiliated with professional ballet company) and to try audition into the professional training division once you have reached an acceptable level. You may need to audition even to enter the recreational division. Speak to the teacher or the school directors about your options for entry and progression. You will need to take a minimum of one class a day most days of the week to train at this level. Once you have a learned the basics and strengthened your body, this schedule could need to increase significantly. Hopefully the schools you look at will offer a teen beginner ballet class. If they do not and you are not comfortable in a class with much younger students, look for an adult beginner class. Do not be discouraged if you cannot find either at a good school in your town. Instead, speak to the teacher or director about how far along you would need to be before you can move into a class with students closer to your age. Create a plan with the teacher or director for reaching your goal so you will not feel like you are stuck in a lower age group indefinitely. Starting ballet classes can be so exciting. Congratulations on choosing such a beautiful and fun activity. In my next post, I’ll help you prepare for your first ballet classes … with a little shopping! This has helped me alot! I am 13 years old and I am in LOVE with ballet. I haven’t started taking classes yet though I really want to! I have been stretching at home to increase my flexibility and hopefully that will work with time I suppose. I want to become a great ballet dancer! But I’m getting confused by all these schools and especially the prices! Hopefully it will workout! I want to be able to go “En Pointe”! That is my goal and hopefully within 2-3 years I can reach my goal! 🙂 well, thank you for your information! It has inspired me! It is great to hear of your newfound love of ballet. If you can find a good school and train consistently, it might be possible to reach your goal of pointework in a few years. Don’t become to fearful of choosing a ballet school though – Dancers dance! If you want to take ballet – just go for it! If you are really uncomfortable choosing a school though, send me a message on the Contact page and I’ll see if I can help you narrow your choices.